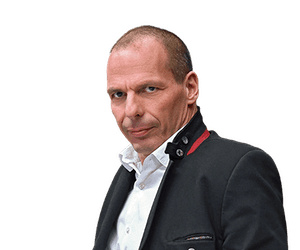 Yanis Varoufakis, a former finance minister of Greece, is a professor of economics at the University of Athens and the co-founder of DiEM25 (Democracy in Europe Movement). His latest book is And the Weak Suffer What They Must? 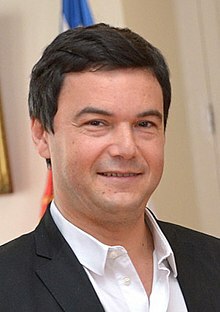 Europe’s Crisis and America’s Economic Future. 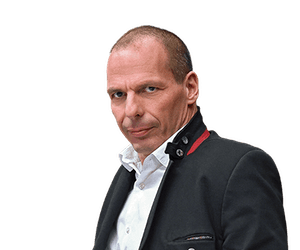 Anticopyright: Editorials and articles originated on TMS may be freely reprinted, disseminated, translated and used as background material, provided an acknowledgement and link to the source, TMS: Thomas Piketty vs. Yanis Varoufakis, is included. Thank you. Thank you, TMS. I had never herd of Prof. Howard Richards and will now follow up the lead. Obvious next conclusion is to reject “the way the world is presently organized.” Nothing but a rapid evolution to eco-socialism makes sense to me. Far too much attention is paid to economics and far to little to ecology. If life cannot be sustained, any argument about affording a different way is utterly irrelevant. It may sound trite, but corporations do not need to breathe or eat nor to have potable water. In order for us to live, the global corporate model must die.